We are thrilled to announce that SoCal Trombone Day has added an Educator Track to the 2019 schedule! 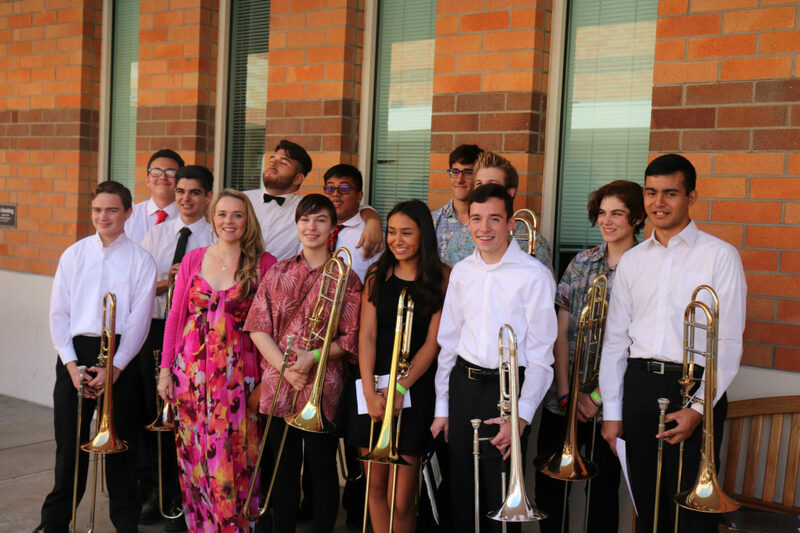 Attend SoCal Trombone Day with your students, and get something for yourself too! Educators will benefit from classes geared specifically toward their needs, presented by Mt San Antonio College faculty members, Dr. Karen Marston, and Dr. Gregory Whitmore. In addition, our Educator Track allows time for you to visit the Exhibit Hall, where you can speak directly with trombone/brass vendors and industry specialists, and attend main schedule classes and events, such as reading sessions (feel free to bring a trombone! ), and classes on topics such as trombone maintainence. It will be an awesome and inspiring day! To learn more, please visit the schedule page. We are happy to provide documentation of professional development hours, AND educators who bring 5 or more students get in FREE! For more information, please email Dr. Karen Marston, at kmarston1@mtsac.edu. See you at Trombone Day! Hi Ed! Great to hear from you! We’d love to have you in the educator track! But, you can also do the adult, regular attendee. Have a look at the schedule, and see which track looks like the best fit for you!